Rubber Room Ramblings: LOVELY AS A TREE WITH MORE MERRY MESSAGES! This is a gift card pattern demonstrated by Jenny Peterson. Jenny is a very talented Stampin' Up! demonstrator, and she was one of the presenters at the Creative Convention I recently attended. She demonstrated a gift card holder like this with different stamp sets. 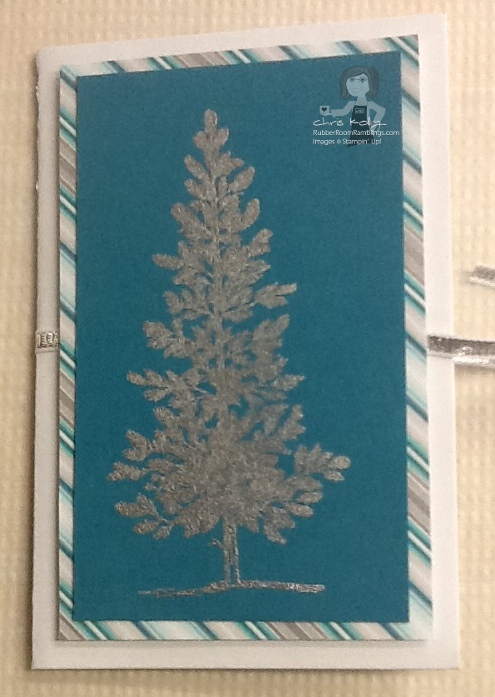 Jenny used the Special Season Stamp Set from the Holiday Mini Catalog. For this gift card holder, I used Lovely As A Tree (one of my favorite stamp sets) and the sentiment from More Merry Messages. I also used the Winter Frost Specialty Designer Series Paper, Silver 1/8" Ribbon and Frosted Finishes Embellishments from the Holiday Mini Catalog. 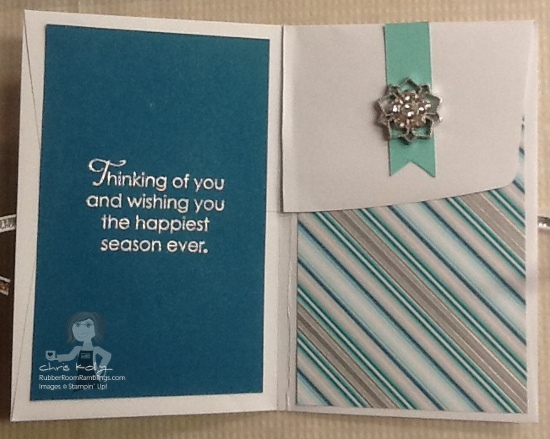 This gift card holder is made using one of our Medium Whisper White Envelopes. This is a project that will be appearing in my upcoming clubs and classes!